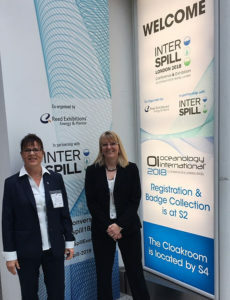 Interspill 2018 (www.interspill.org) just concluded in London after three very busy days. NJ Resources, Inc. is honored to have been part of a panel discussing “Effective Exercising 2: Working with Governments”. Shell, NJR and the U. S. Coast Guard co-authored a paper discussing why some collaborative endeavors work, and others do not, how trust is established between people in different organizations, even when one regulates the other, and how you successfully integrate two very different cultures to attain one overarching goal. The presentation detailed how industry and government entity partnered through a 9-month planning process to execute two major exercises for over 200 participants including international observers from the member nations of the North Pacific Coast Guard Forum (NPCGF) which are Japan, China, Russia, South Korea and Canada. The process overcame multiple challenges, achieved positive results, propagated the use of ICS on the global arena, and built cohesive relationships between industry and the U. S. government, as well as with the governments represented by the NPCGF the for the improvement of preparedness in the Pacific Northwest as well as the greater Pacific as a whole.